At the center of Lowell, Massachusetts lie the rivers, dams, canals, and factories which contributed to the growth of one of America's greatest manufacturing centers. Although considerable attention has been focused on the study of Lowell’s central core, the majority of Lowell's residents in the mid-to late nineteenth century resided outside the city center. The colorful names of Lowell’s neighborhoods- such as Chapel Hill, Belvidere Village, Pawtucketville, Centralville, and the Highlands - provide only a hint of the important role these areas had in shaping the city's history. Among the earliest of these neighborhoods is Chapel Hill, with representative residential architectural styles from nearly every period of the city's industrial development. Enveloping a hilly site, Chapel Hill is bounded at the east by the Concord River, at the west by Gorham Street, and at the north and south by Charles Street and Hale’s Brook. Chapel Hill's settlement began in the 1820s, when Lowell was emerging as a major textile center. Although many of the town’s residents were employed in the cotton mills and lived in company-owned houses, the growing community attracted others -shopkeeper, carpenters, masons, policemen - who supplied the goods and services required by a rapidly expanding town. 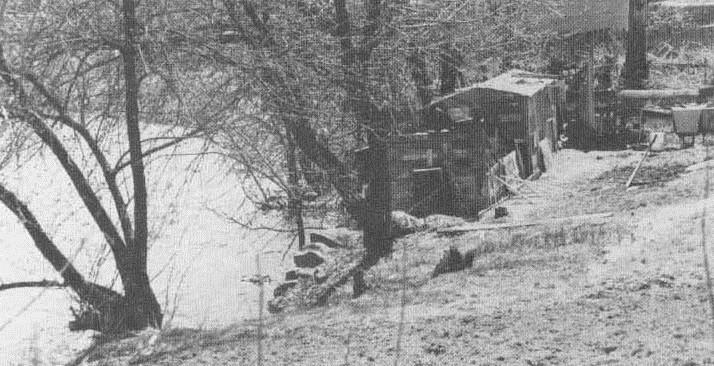 For individuals wishing to build their own houses, Chapel Hill proved to be the only available land Convenient to the center of Lowell that was neither in Corporation ownership nor separated from the mills by a river. 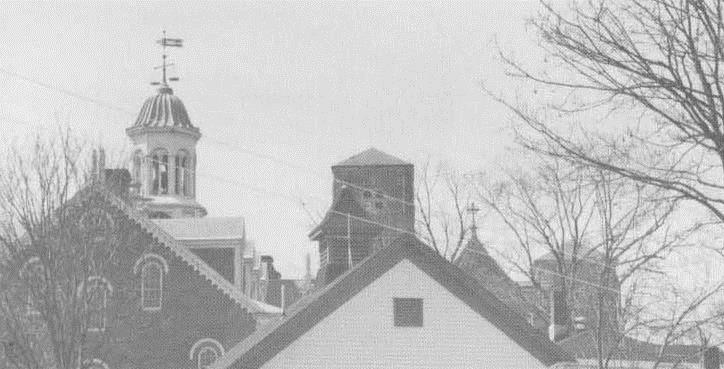 Unlike Centralville and Washington Square in Belvidere, which date from the 1830s, there was no predetermined plan for the growth of Chapel Hill. 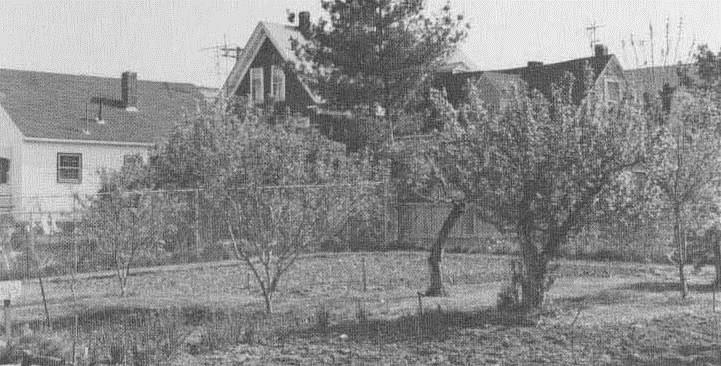 Instead of following a previously laid-out grid of streets and houselots, the area grew organically, conforming to the topography and to the random sale and development of house lots. Paralleling the north- south axis of Gorham Street (the original colonial route between East Chelmsford and Billerica), Central Street wrapped around the hill, Chapel Street ran over its ridgeline, and Lawrence Street followed the Concord River. A network of short cross streets (Charles, North, Ames, Mill and Elm) soon connected them. out by the City as a public park. 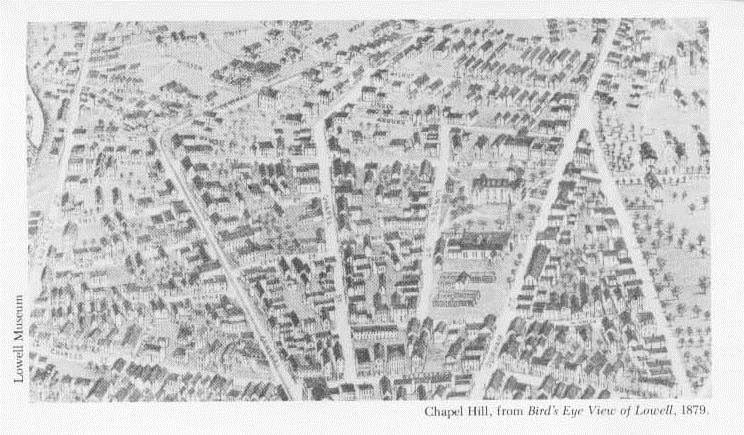 By 1868 all of Chapel Hill's streets were laid out. a practice which continued to the turn of the century. by Patrick C. Keely, a nationally-known architect. be appreciated by both residents and visitors. 1. Concord River from Lawrence Street. The Concord River bounds the eastern edge of Chapel Hill, shortly before it empties into the Merrimack River. Along the site of water-powered mills, the river is a major visual asset to the neighborhood. Yards and gardens of Lawrence Street houses mark the former sites of grist, paper, and cotton mills. The streets of Chapel Hill were seldom built up at the same time. In a single block, mill workers's Greek Revival Style houses from the 1830s and 1840s, high,-styled Italianate, and Second Empire merchants's houses erected mid-century and Queen Anne multi-family dwellings built for the families who lived in Chapel Hill during its last period of growth can all be found. In addition to the many interesting architectural details crafted by local builders, there are other features of the Chapel Hill landscape to notice. Building stone from local quarries and canal beds is visible in walls and foundations. Ornamental ironwork can be seen on roofs and fences. Natural features, including old trees, and the Concord River and views from the higher elevations in Chapel Hill, are also part of the neighborhood landscape. 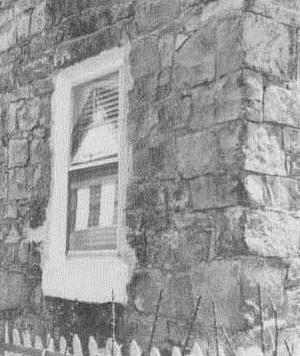 The only stone residence - Chapel Hill, 23 Ames St. was built of cut granite blocks with rubblestone infill. Although the granite was probably hauled from a nearby Chelmsford quarry, the rubble stone was obtained during excavation of Lowell’s canal beds. 3. A special aspect of the Lowell landscape is the many adjoining vegetable gardens found within Chapel Hill. Frequently encompassing all available yard space, by mid-summer the gardens yield large quantities of produce. Fig trees, indigenous to Mediterranean countries, have been planted by Portuguese residents who take care to protect them from New England winters. Shrubs, bulbs and other plant material enhance the small front yards. 4. 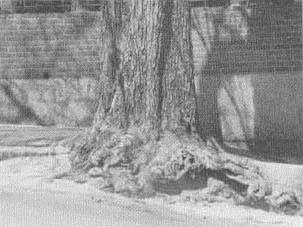 Mid-19th century streets were frequently planted with trees at regular intervals to provide shade and visual relief. Although the automobile, asphalt paving and pollution have contributed to the demise of many of these trees, a few have survived in their modern urban environment. erected after 1845 Locks and Canals land auction can be seen on Walnut Street. At the junction of Mill, Wamesit, Elm, Richmond and Central Streets is Hosford Square, named after Hocum Hosford, a prominent mid-19th century Chapel Hill Resident. The square offers welcome open space amidst the tightly built-up streets. Along its perimeter are examples of every architectural style in the neighborhood. 7. View Looking West from Chapel Street. 8. 573 Central St., 1870s. Throughout the 19th century, fences were a common part of the landscape. Originally constructed for utilitarian purposes, primarily to keep animal out of gardens, in the city they became equally important for aesthetic reasons. 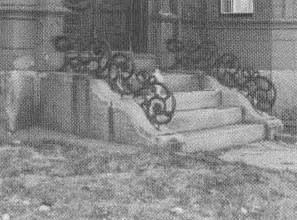 Iron fences were used almost exclusively in urban areas, as a railing along stairs or balconies or encircling a small front yard. 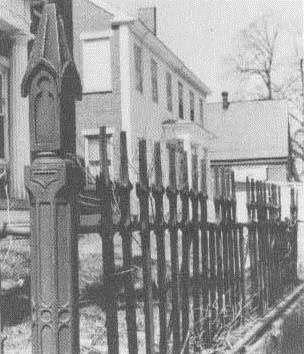 Just as architectural styles changed, fence patterns varied to reflect the period of the house and the status of its owner. 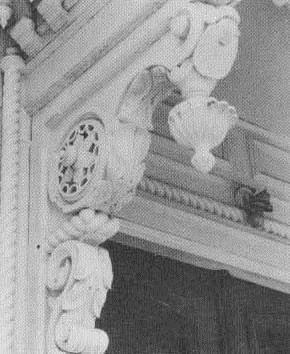 Also of note is the cast-iron grillwork on the Greek Revival house at 503 Central. 9. Abel Rugg House, 7 Wamesit St., ca. 1822. 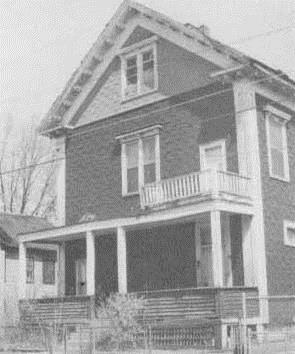 Sited on a slight rise of land, 7 Wamesit St. is the earliest house on Chapel Hill. Early services of the Baptist Church were held there in 1822-24. 19th century owners were associated with the paper and woolen mills on Lawrence Street. 10. Scripture's Bakery, 547 Central St., ca. 1826-31. Another of the early buildings on Chapel Hill is the residence and bakery built by Isaac Scripture. Scripture lived on the upper floors, housing his bakeryin the basement. (A local club has been located here since 1933.) Broadgable facades are fairly common on Lowell's Greek Revival houses, but few are single-family residences. 11. Spalding House, 1-3 Centre St., ca. 1837. Like Scripture's Bakery, the Spaulding House was used as both a residence and a shop. The topography of the hill encouraged the construction of exposed basement shops, with main floors reserved for living space. The Greek Revival style entry portico, with its carved capitals derived from the Temple of the Winds in Athens, is one of the finest in Lowell. For much of the 19th century, the house was occupied by the Spalding family, who had substantial real estate holdings in Lowell. Among the early residences of Chapel Hill are traditionally-styled double houses sheathed in brick, clapboards or both materials. Similar house setbacks, siting and architectural scale provide visual continuity and elegant entry porticoes carried by fluted columns also enhance the street. 13. 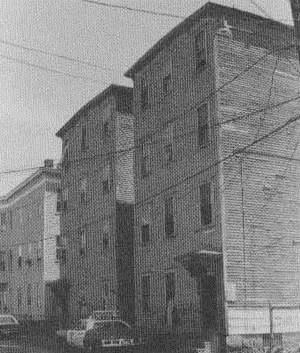 492 Gorham St., 1840s. Broad-gable double houses made of brick are not as common as those if frame construction. Located at the terminus of the Lowell Connector, this handsome Greek Revival residence has retained its double entrance with side pilasters and shared granite lintel, tall end chimneys,boldly articulated pediment, granite trim and six over six sash. 14. 75 Chapel St., ca. 1847-49. 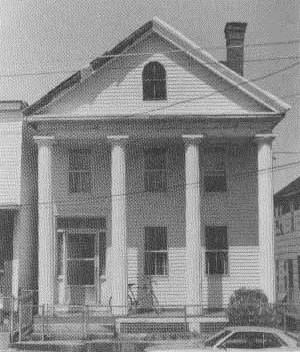 John B. Tuttle, a mason, erected this broad-gable Greek Revival house. Although similar to 492 Gorham St., it carries a finely detailed portico supported by fluted Ionic columns.The double trabeated entrance flanked by pilasters is also typical of the Greek Revival period. 15. 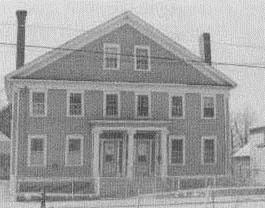 Colburn School, 122 Lawrence St., 1840. 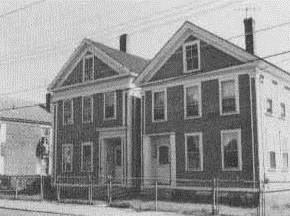 The oldest school building still in use in Lowell, the Colburn School was designed by a local school principal. Like other schools of the period, it contained a single school room capable of holding 200 students and two recitation rooms. Its simple Greek Revival form was the traditional style used for Lowell's public buildings during the 1830s and 1840s and can also be seen in the Old Market House, Franklin School and Old City Hall. 16. 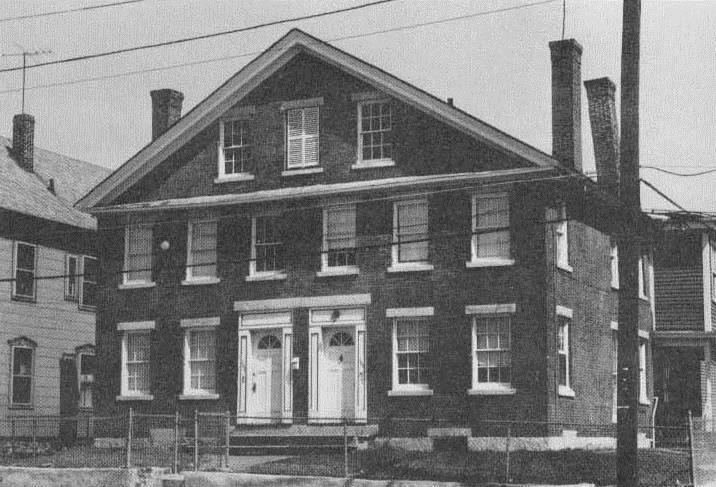 412 and 414 Gorham St., 1840s. In the 1840s the Greek Revival style was used almost exclusively for worker's houses. Gable- end siting (the narrower end of the house facing the street) was ideal for long, narrow city lots, and improved building technology made standardized mill work available to owners of all income levels. The recessed entrance of the house on the left has retained its trabeated door surround. 17. William Nichols House, 11 Centre St., 1841. The two story, full-width columned portico of this house makes it one of the area's finest works of architecture. Of all the various forms the Greek Revival style could take, this most closely resembles the Greek temple from which the style originated. 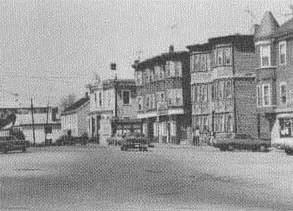 William Nichols, the first resident, was the prosperous owner of a grocery store which stood at the corner of Central and Church Street. 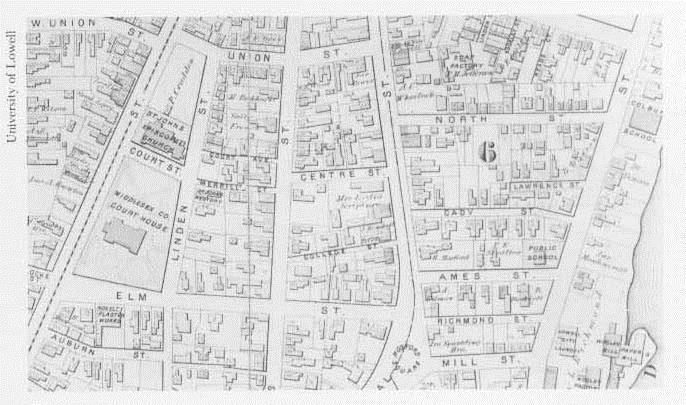 The land between Gorham and Chapel Streets, developed rapidly after the 1845 auction. The then-fashionable Greek Revival and Italianate sidehall dwellings proved ideal for narrow city lots. Each lot was developed individually, exemplified in the variations in size and detail of the houses. 19. 139 Chapel St., late 1840s. This exceptionally ornate Italianate house employs a wide variety of architectural detail to create a rich, three-dimensional effect. Windows and doors framed with rope molding, brackets, bay windows, molded window caps and carved double doors are used extensively. 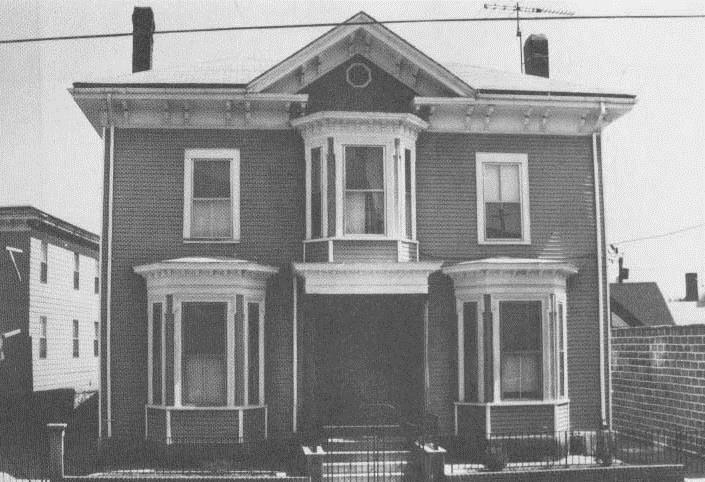 Between 1850 and 1880 more Italianate houses were built in Lowell than any other style of building. 20. The Italianate style is readily identified by the use of brackets, most commonly found at roof eaves, on bay windows and beneath door hoods. 20. Hocum Hosford House, 574 Central, ca. 1856. During the 1850s, successful merchants erected elegant Italianate residences throughout the city. Hosford's house, with its handsomely carved double doors and columned portico,is among the most stylish on Chapel Hill. Founder of Lowell's largest dry goods store, Hosford also served as mayor from 1862-64 and erected the Masonic temple on Merrimack St.
21. Cottage Street School, Chapel St., 1858. 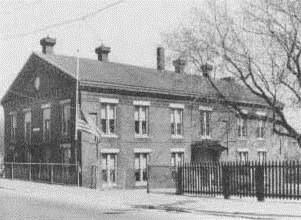 When the Cottage St. School was built, there was considerable public concern about providing adequate school yards to avoid turning "the scholars into the public street". 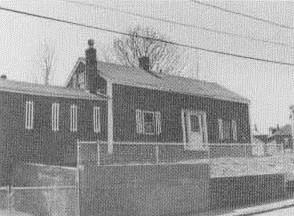 Both the Cottage St. and Pond St. School, erected the same year in Belvidere, addressed this need. These are the oldest surviving primary school buildings in the city. 22. Samuel Wood House, 648 Central St., ca. 1872. Samuel Wood, a wholesale grain merchant, erected Chapel Hill's most stylish Second empire house, sited prominently on a large lot in Hosford Square. In addition to the mansard roof, the hallmarkof the style , noteworthy features include flush wood siding scored to simulate stone, carved entrance doors, rope molding and ornamental ironwork. 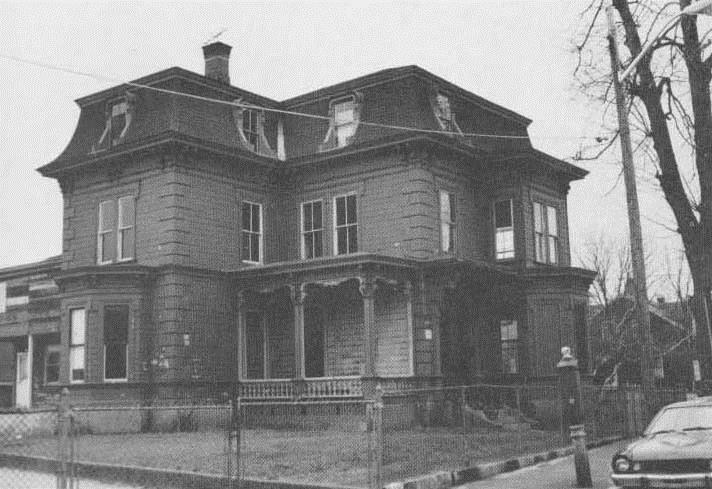 In the early 20th century, the house was used as a children's Home. 23. 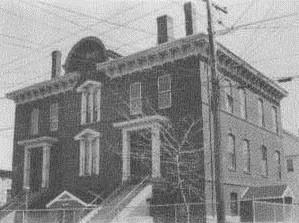 Lyon Street School, 920 Central St., 1876. The handsome Italianate facade of the Lyon School, evidence in the paired round-arched windows with molded caps, and bracketed cornice, attests to the prosperity and pride in civic architecture the city enjoyed in the post-Civil War decades. By 1876, the number of Irish workers settling on Chapel Hill had increased significantly. 24. Richmond Mill Storehouse, Lawrence St., ca. 1850.
rubblestone building was the storehouse for Richmond's paper and cotton batting mill. Note that although the rubblestone is carefully laid in horizontal courses along the front of the building, the sides and rear are constructed of randomly laid stone. Nearby, at 224, 228 and 310-326 Lawrence St., are dwellings built to house some of the mill's employees. 25. 44-48 Elm Street ca. 1900. 3 or 4 story frame structures with low-pitched gable or flat roofs replaced lower-density mill workers' dwellings in the late 19th century. 26. 621-27 Central St., ca. 1895. Three decker buildings are rare on Chapel Hill because most of the available land was built up by the time they become popular elsewhere in Massachusetts. A few, with spacious floor plans and plentiful light, were constructed on Chapel Hill between 1880 and 1910. 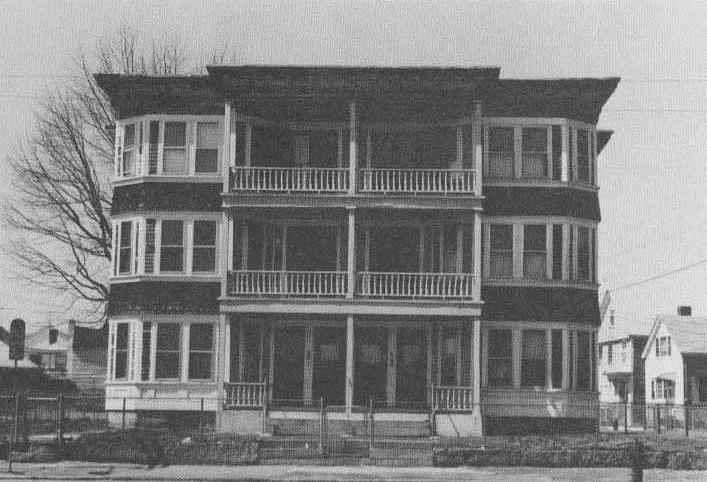 Double three-deckers, such as the one pictured above, contained six apartments, each with its own porch and bay window. The building has retained its original clapboard and shingle siding, dentil frieze and porch balustrades. It was built on the site of the Methodist Church, one of two early churches which lent Chapel Hill its name. 27. Detail, 604 Central St., ca. 1892. 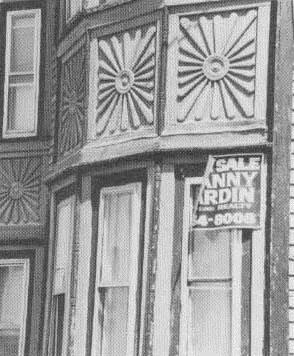 The sunburst motif was a popular ornament on Queen Anne dwellings at the turn of the century. Throughout history the Portuguese have been reknown sea explorers and discoverers of distant lands. Thus, it seems only natural that so many Portuguese over the past 150 years have made the long journey from their homeland to United States shores. During the fifteenth century, Portugal's famous Prince Henry the Navigator encouraged his people to embark on ocean voyages of such magnitude that the realms of navigation, geography, cartography, and mathematics were forever changed. For the next century Portugal controlled the largest empire in the known world. 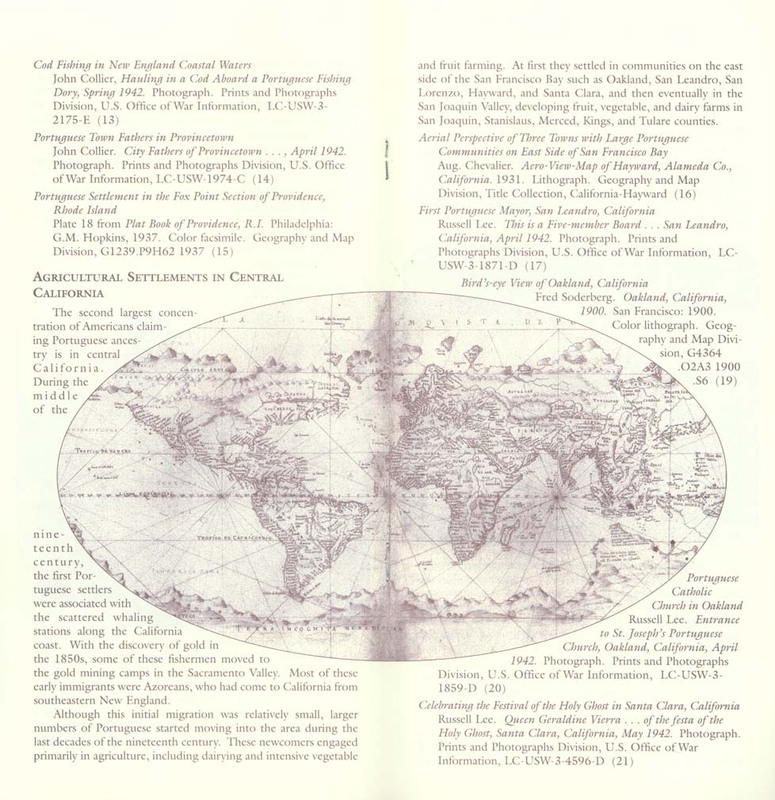 The spectacular exploits of Portuguese explorers have been extensively documented. Navigators Bartholorneu Diaz de Novaes and Vasco da Gama among others, sailed the African Coast, rounded the Cape of Good Hope, the Malabar Coast of India, Malacca, Macao, and Japan, in search of new trade routes. Pedro Alvares Cabral landed on the Coast of Brazil in the year 1500 and established what would become Portugal's largest colony. Others included (Coastal Africa) Angola, Mozambique, Portuguese Guinea, San Tome e Principe, and the Cape Verde Islands; (India) New Goa and the associated Diu, Damoa (China) Macao, and Western Timor. Although the Portuguese Revolution of 1974 led to the independence of all that nation's colonies, including the Cape Verde Islands by 1976, the country still consists of Continental Portugal and the two Atlantic Ocean archipelagos, the Azores and the Madeiras. Discovered during the height of Portuguese exploration, Madeira in 1418 and the Azores, between 1420 and 1452, neither of these volcanic island chains was populated. This enabled Portugal to adopt them as native lands by encouraging migration and settlement. The closest of the nine mid-Atlantic Azore Islands is Santa Maria, 758.0 nautical miles (nm) from Lisbon, Portugal's continental capital. The furthest of the islands is Flores, some 1026.7 nm from the mainland. The remaining islands in the chain are Corvo, Graciosa, Sao Jorge, Fayal, Pico, Terceira, Sao Miguel and the tiny, uninhabited Formigas. Towards the Coast of Africa lie the rugged Madeiras with two inhabited islands, Porto Santo and the more heavily populated Madeira. The rocky Desertas remains uninhabited. Although persons of Portuguese ancestry have come to Lowell from Continental Portugal, Cape Verde Islands, Angola, and Brazil, the majority of Portuguese immigrants to Greater Lowell are from Madeira and the Azores, with an especially large concentration from the island of Graciosa. These island chains are referred to as Insular Portugal because residents of these islands live somewhat in isolation, insulated to a degree from the rest of their country and the world. When recounting the history of Portuguese immigration to the United States, specifically the Lowell area, there were two definitive waves of mass immigration which occurred for distinctly different reasons. The first instance of a large migration of Portuguese to this area began during the late 1800s. To understand the reasons they came, it is necessary to know something about the lives of these people in their homeland. The Azores and Madeiras possess delightful semi-tropical climates suitable for fishing and farming. Yet opportunities for economic improvement were extremely limited. The need to better their impoverished circumstances, coupled with compulsory military service and that historical "spirit of adventure" gave the Portuguese the impetus required to emigrate. Throughout the years, most immigrants of Portuguese ancestry have settled either in New England, Southern California, or Hawaii, with New England, the dominant choice. Of the official total of 241,916 Portuguese immigrants admitted to the United States during the first wave of mass immigration between 1820 and 1921, more than 75% remained in New England, the majority settling right here in Massachusetts, with smaller numbers in Rhode Island and Connecticut. The largest Portuguese settlement in Massachusetts was established in the Fall River/New Bedford area, with other significant settlements in Boston and Cambridge, Gloucester, Provincetown, Ludlow, and of course, here in Lowell. the Island of Graciosa, Azores, circa 1900. 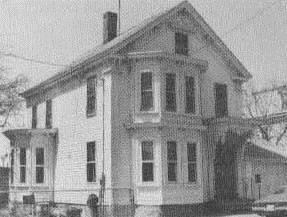 The first permanent Portuguese settlement in Lowell can be traced back to the year 1851. Although initially many Portuguese settlers were introduced to the New England seacoast through the New Bedford whaling industry in which they played such a substantial role, many were eventually drawn to the booming industrial city of Lowell to gain more secure employment, leaving the old ways of the sea behind. Although immigration to the U. S. held prospects of greater opportunities, the early settlers faced many obstacles. The first of these difficulties was surely the ocean voyage which stretched over more than a week, in dismal, cramped conditions and often included sleeping on damp decks, huddled together in groups. Coming from the warmth of their island homes to the frigid expanses of the unfamiliar New England territory was an immense cultural shock. Unable to speak the language or understand the customs, they tended to form tight-knit communities in which they could continue some traditions from home. The call of the industrial age brought Portuguese immigrants to Lowell. Hard work was a hallmark of these people and soon, men, women, and children were assimilated into the mill system. In many instances, both husband and wife worked in the mills, with children entering around the age of twelve. Sometimes men would preceed their families, saving money with which to bring them to this country. Young people often joined their relatives in sending money back to Portugal to support family members left behind. Portuguese laborers worked in most of Lowell's mills, such as the Boott Cotton Mill, the Massachusetts Mills, the Appleton and the Hamilton. Struggling through ten hour days, six days a week, may not seem advantageous to us today, but at that time, Portuguese immigrants likely viewed this as a significant opportunity to better their circumstances. 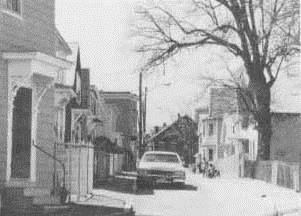 At one time, so many male immigrants from Madeira worked at the Tremont Mills and lived in boardinghouses on that street they became known as "Treemonts. " 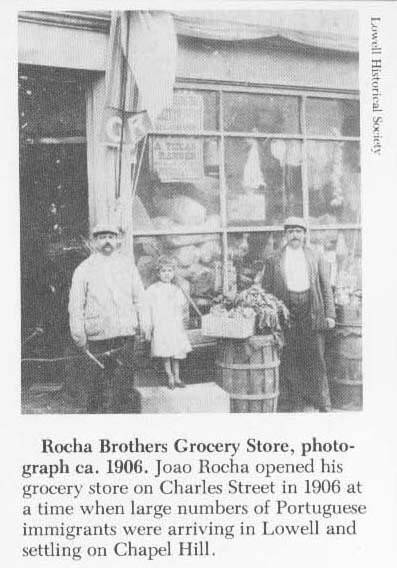 Lowell's Portuguese immigration came to a virtual standstill from 1922 through the late 1950's when restrictive nationality quotas and stringent literacy laws were enacted. Although Portuguese immigrants had a reputation for hard work and often furthered their schooling once in this country, educational opportunities were minimal, particularly on the Azores and Madeira, and most immigrants from there found it difficult to pass the more stringent literacy requirements then in effect. 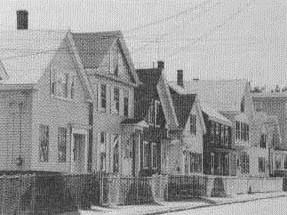 By the time the second wave of mass immigration from Portugal began, those immigrants who had previously arrived were an integral part of Lowell's multi-ethnic mix, creating a cultural support system comprised of a devout religious community, the neighborhood, Portuguese social clubs, and a substantial number of businesses. Many Portuguese had friends and family living in the United States by this time and had heard stories of educational and industrial opportunities unavailable to them at home, especially in the Azores. Yet immigration laws continued to be extremely restrictive until such time as nature took control of the situation. Despite the fact that the Azores and Madeira were originally developed due to volcanic and seismic activitity, it had been a considerable amount of time since there had been a catastrophic event. One of the last recorded cases of extreme seismic activity took place in the Azores in 1522, when a hilltop convent in Ponta Delgada, the capitol of Sao Miguel, was swallowed up during a disastrous earthquake, killing 209 nuns. However, that historic incident pales in comparison to the Azore earthquakes of 1957 and 1958. In September of 1957, an immense submarine volcano erupted off the western end of the small but densely populated island of Fayal, causing massive flooding and temporarily giving birth to an entirely new island. Minor earthquakes there continued to terrorize the people for a year following the initial eruption. This came after several lesser earthquakes had already devastated the islands of Terceira and Sao Miguel in the early 1950s. Then in February of 1964, another serious earthquake rocked the island of Sao Jorge leaving 25,000 residents homeless. These occurrences were the catalyst for the next wave of Portuguese immigration. Due to the influence of Portuguese groups within their constituencies, Senators John Pastore of Rhode Island and John F. Kennedy of Massachusetts co-sponsored a congressional bill in 1958, referred to as the Azorean Refugee Act, which permitted the issuance of extra visas to accommodate recent earthquake victims. After the 1964 Sao Jorge earthquake, Senator Edward M. Kennedy joined the cause of Azorean relief advocated by his late brother. In 1965 the New Immigration and Nationality Act came into effect, eliminating the quota system that had stemmed the flow of Portuguese immigration for so long. Throughout the years, Portuguese settling in this area have built a strong, steadfast community. At the beginning, as was true with most early immigrants, those coming to work in the mills stayed at local boarding houses. About 1862, the first of the "Portuguese" boarding houses were established. Casas de borde, as they were called, were numerous by the turn of the century with at least ten set up along back Central, Charles, Chapel, Union, Cherry, North, and other neighboring streets. As time went on, despite strict disciplinary rules, these casas de borde became one of the main places where young single people made acquaintances. Many would eventually marry and make their permanent residences in the same areas that the boarding houses had occupied. The neighborhood between Lawrence and Gorham Streets has become the nucleus of the Portuguese community past and present. Throughout the years, the Portuguese residents have diligently fixed their homes, planted colorful gardens reminiscent of the old country, and carried on cultural traditions that continue to give the city of Lowell its splendid ethnic diversity. One of the first orders of business was to introduce a place of worship in their new city. Generally strong in their Catholic faith, the Portuguese immigrants wished to establish a church in which they could understand the language and experience religious customs particular to their own heritage. Therefore, in 1901 the parish community of Saint Anthony's Church was established. 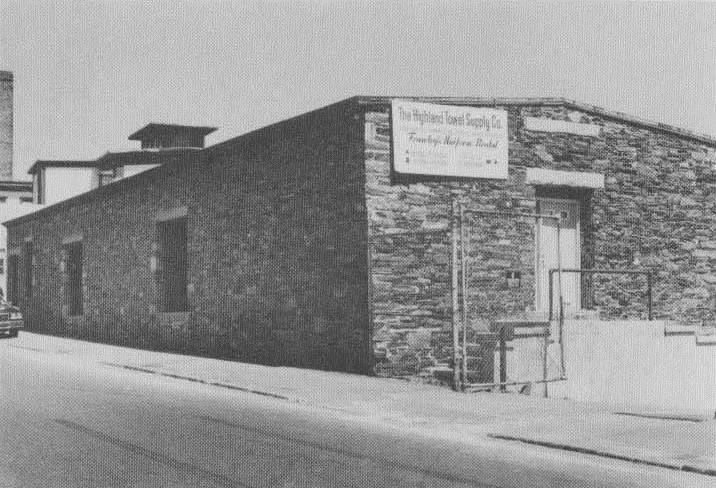 At first it was necessary to meet in the Hall of St. Peter's Parish, but by May of that year, a small, white wooden structure on the corner of Gorham and Congress Streets was purchased from the Primitive Methodists. 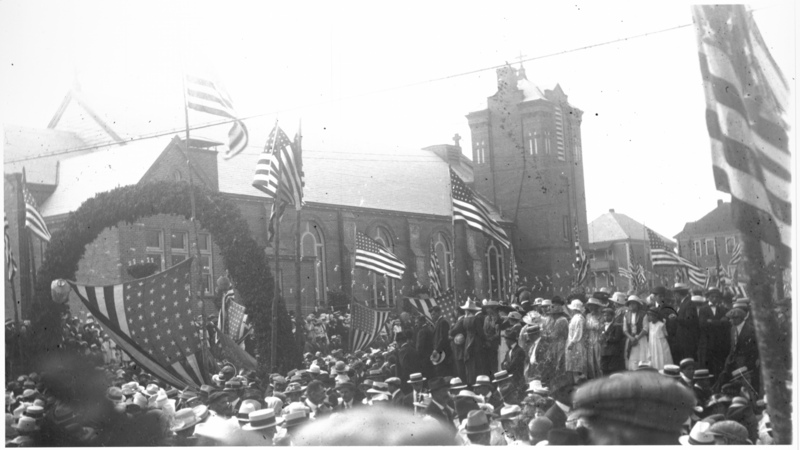 In 1908, construction began on a new structure on back Central Street which could accommodate the growing congregation. After more than 90 years as a parish community, St. Anthony's Church still remains the focal point of the Portuguese neighborhood, continuing colorful traditional feasts and religious celebrations. International Institute of Lowell, Inc.
A large cache of historic artifacts recently discovered in the attic of Lowell City Hall has inspired an exhibit that will delve into the culture of Portuguese laborers who arrived in Massachusetts more than 100 years ago to seek a better life. 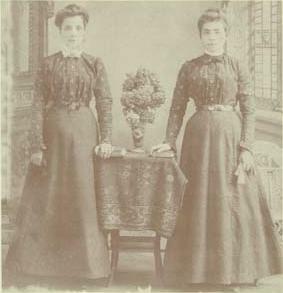 “The Lure of the Spindle: The Portuguese in Early 20th Century Lowell” showcased the lives of immigrants at work and play and explored their devotion to their faith, families and neighborhoods. The exhibit, which was free and open to the public, was presented by UMass Lowell’s Saab-Pedroso Center for Portuguese Culture and Research with the university’s Center for Lowell History, in partnership with Lowell National Historical Park. The exhibit was held on Thursday, Aug. 6 at 5:30 p.m. at the Boott Cotton Mills Museum, 115 John St., Lowell and was viewable through Tuesday, Dec. 1. 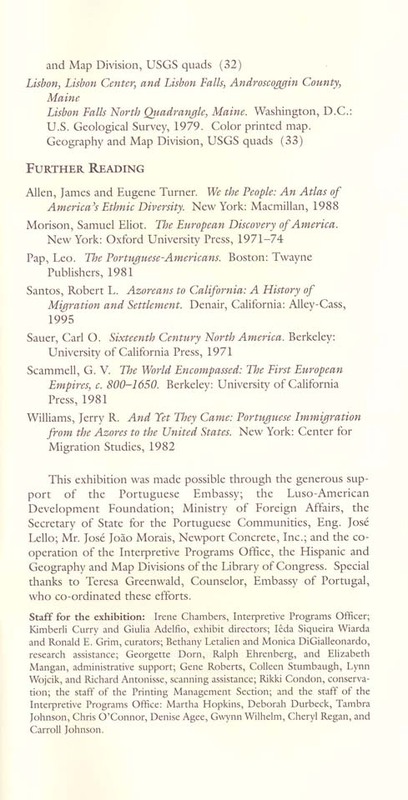 To complement the exhibit, programs and performances focused on Portuguese culture were held in the following months at the university and park to enrich the public’s understanding of Portuguese-Americans and their experience in the region since the early 1900s. The exhibit was built around immigration documents including letters, passports, photographs and visas that were uncovered inside Lowell City Hall and donated to UMass Lowell. These materials – combined with other historical and contemporary collections of photographs, maps, city records and cultural and religious artifacts – tell the stories of Portuguese laborers and their families, revealing the challenges they faced and the choices they made in the mill city. “The exhibit was designed for two audiences: for the local Portuguese-American community as a way to bring them together, tell their stories and celebrate their heritage, and for the general public, particularly school groups, to share this rich history with them,” said Martha Mayo, director of the Center for Lowell History.